Now you may be like, Megan, there is no way you are going to convince me to jump on the poncho/kimono/cape train. Or, maybe you are already one step ahead of me and are in no need of being convinced. Either way, I hear you. I stayed away from the trend for quite sometime. It was only this last Summer that I purchased my first poncho. It was the perfect Summer bonfire on the beach piece to add to my closet. Needless to say, it has become one of my favorite Summer evening pieces. Some ponchos are more fitted than others, but no matter the shape there are many options for Spring and Summer. Whether you are a trend hater, or have already embraced the trend, my hope is to open your mind to some new ways to wear this look, as it has become a staple for me. Sure a poncho is a shirt, but when it has fully formed arms it has reached a whole new level of shirt. The look is perfect for ladies with smaller frames. 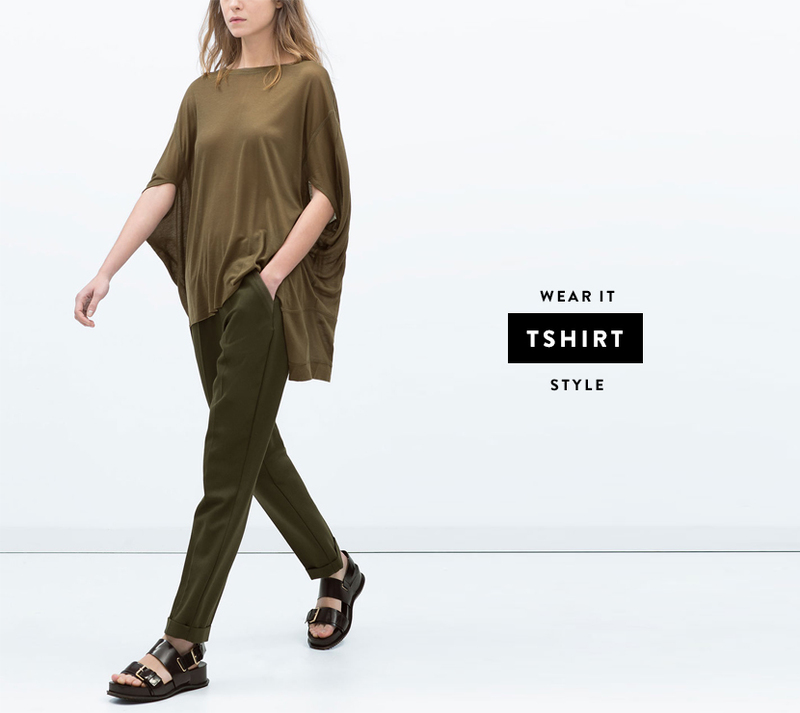 The flowing oversized look is breezy in all the best ways. I have a few pieces that have this kind of draping shape and I really love them at a dinner out after a day on the water or pool side. This is my personal favorite. 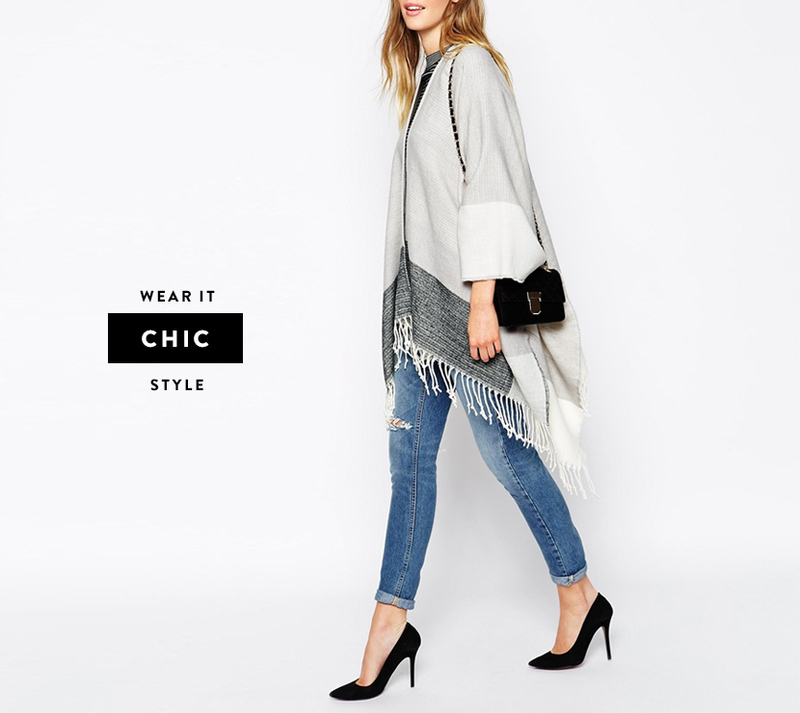 The poncho is a casual piece at it’s base, but when paired with the right complimenting pieces you can make it the new blazer. Perfect for traveling or for chilly evenings out on a date. 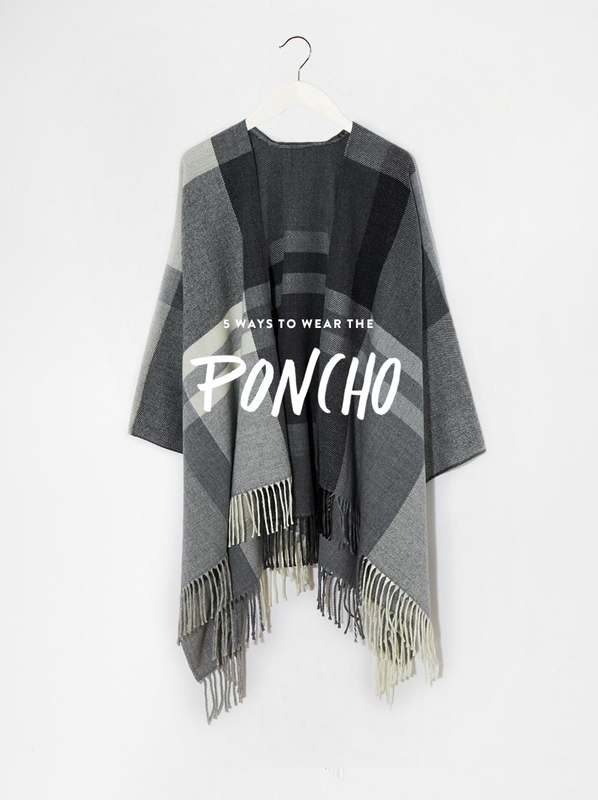 The poncho can be your new go to evening attire, especially for those all to often occasions when you need to cross the lines of casual and chic. I figure this is the original purpose of a good poncho. A piece that carries a gorgeous tribal pattern or tie-dye look is the perfect way to rock the boho look. 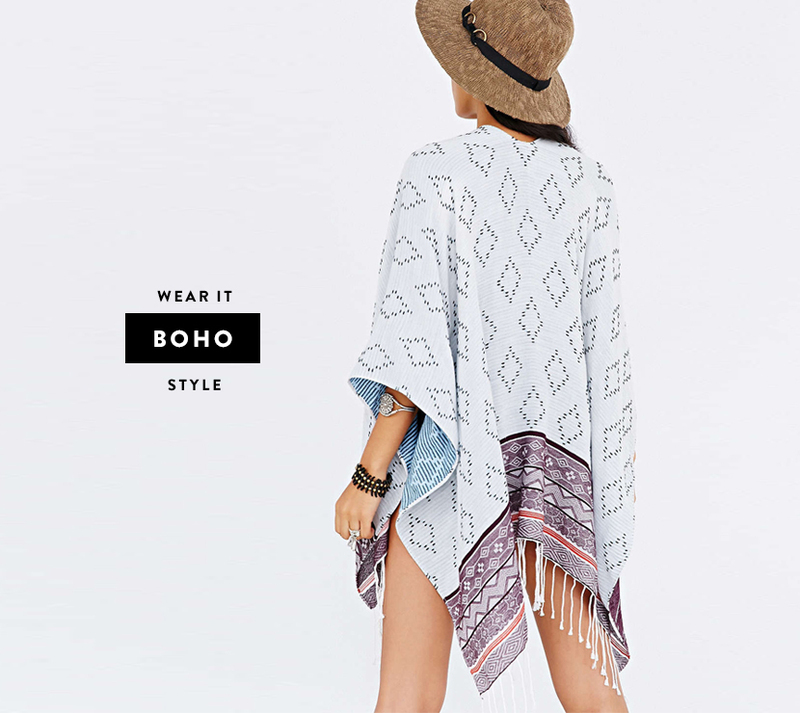 I would easily wear this bohemian poncho to an afternoon cocktail party or a casual glass of wine on the porch with a friend. One of my personal favorite looks for the poncho. 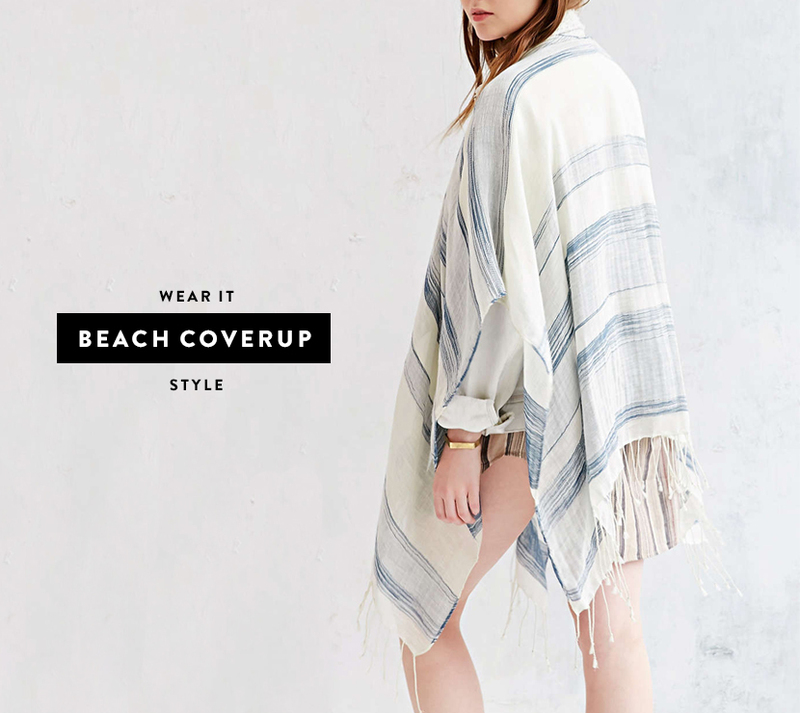 The lightweight and breezy poncho is an ideal beach cover up. If you have fair skin, this is your new best friend for days on the boat or at the beach. Or it can be the robe after your shower version of beach cover up. Choose one that is light, flowy, and dries easily. I like to keep it simpler and a little less complicated in terms of the style and look. If Spring and even Summer are chiller for you, than this is the best look. Growing up in Northern Michigan, I never packed away sweaters during the Summer months, because they still had a purpose in July. This poncho is really one of the best sweaters to keep around for beach bonfires in the cooler states or even into the Fall as Summer wains. So what do you think is the poncho look your thing? Is there a favorite way you like wearing the trend? I would love to hear!